How Do I Get An Asbestos B License 2012? Do I Need A Supervisor? How Do I Get An Asbestos B License 2012? Do I Need A Supervisor? What Kind Of Training Do I Need? • What Do I need to do get an Asbestos B license? 1. In order to obtain your asbestos B license you must nominate the supervisor who has been appointed to supervise the asbestos removal work for the company for which you are planning to work. In order for the supervisor you nominate to meet the supervisory guidelines, they must be over the age of 18, have worked in the asbestos removal field for at 12 months and completed the VET course for supervisor asbestos removal. You will need to check with the manager of your company to make sure that the supervisor you nominate meets all the necessary criteria to be a supervisor. 2. In addition you must complete an asbestos training course. 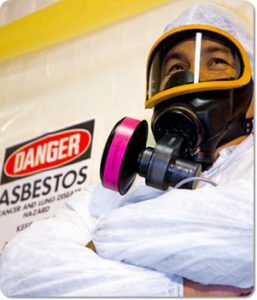 New asbestos removal training has been developed and you must get your training through a Registered Training organization. However, since many of these training organizations are still in the process of setting up these training units you may have to wait until the training is offered in your area. The WHS does allow for you to get the current training that is available through registered training organizations, however the new training that will soon be in effect which will better prepare you for the safe removal of non friable asbestos and asbestos containing dust. Waiting for the new training to be offered is a wise decision as it will cover new changes in the law and may offer more about safety when handling this material. Since starting in January 2013, all the training will be of the new units of competency it is best for your company to have all of those employees who will be dealing with asbestos removal have the most up to date asbestos training possible. You will especially want all your asbestos removal supervisors to have the new supervisor asbestos training in order to ensure that they know and understand all the regulations they need to adhere to in order to keep your business in compliance with the new WHS regulations. Making sure that your supervisor and other employers have the most up to date training will allow you to better protect the public, your employees and your business.